As the weather turns warmer, families take the fun from indoors to the outdoors, thus, the importance of a comfortable and modern outdoor family room. 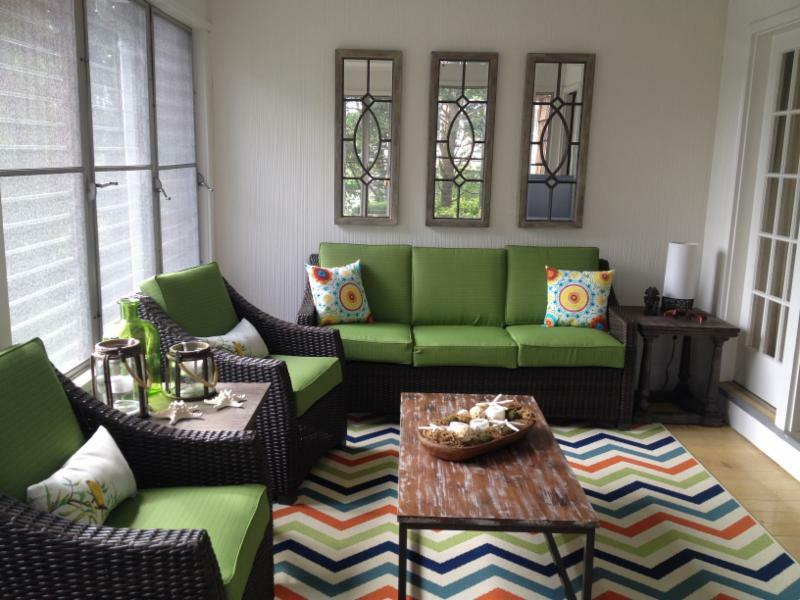 It’s easy to turn any outdoor space into your favorite room of the house with the right tools and vision. 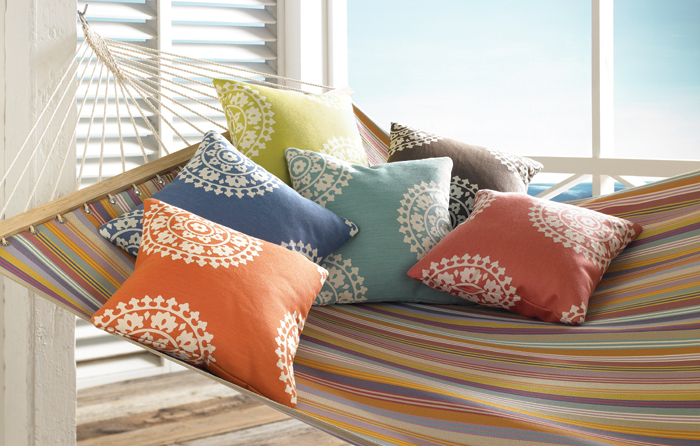 Kravet’s Soleil line is a range of indoor/outdoor fabrics that offer UV protection and ultimate durability for all types of weather.Their patterns and colors are so vibrant and on-trend you will be tempted to use them indoors as well as outdoors.